Instant Whey Protein Concentrate Raw Whey. 24g protein per serving of 30gm. Increase in lean muscle building and prevents muscle breakdown and enhances muscle recovery. No added Sugar & 100% vegetarian. Can be mixed with any beverage or food to increase the protein content of the foo. 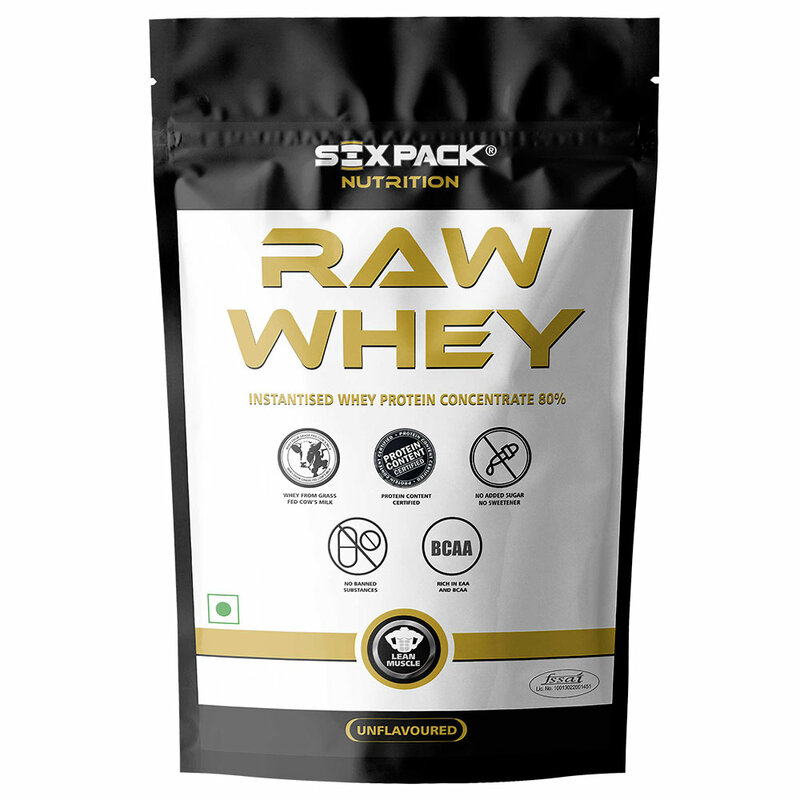 Sixpack Nutrition Raw Whey is instantised Whey Protein Concentrate (80%). Rich in Essential amino acids and BCAA’s. Protein content certified by independent NABL accredited lab. Contains no added sugar and no sweetener. Whey protein concentrate No flavor, No sugar, No preservatives. Add 1 heaping scoop (30 g) of Six Pack Nutrition Raw Whey to 120 ml of cold water, skimmed milk or any Beverage of your choice and shake until completely dissolved. Have 1 – 3 servings per day for better results. Drink first thing in the morning and immediately after your work-out.